This 6+2 drawer wide chest is the perfect for any bedroom. 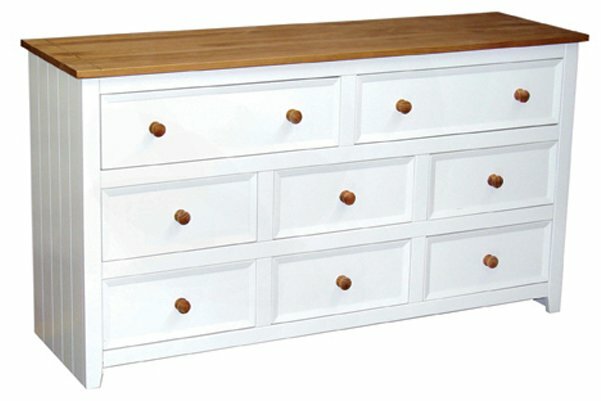 Made from solid pine and white mdf, this product will match any furniture. The dimensions are 1410w x 435d x 747h making it suitable to fit most clothing items.